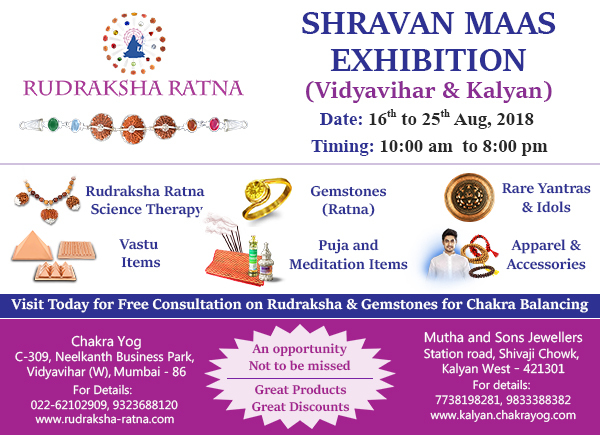 Rudraksha Ratna brings you a grand exhibition (August 16 to August 26, 2018) featuring a variety of spiritual, meditational, Puja and Vastu gifts & items. Rudra Centre, a part of Rudraksha Ratna Group, has been organizing exhibitions and workshops on Rudraksha and their rare collections in India and abroad for years to popularize Rudraksha and bring it closer to the people. Beginning with a supply of Rudraksha beads from Nepal, Indonesia, and India, the Centre is now having the world’s largest collection of holy and meditation items used in Vedic pujas, spiritual practices, various rituals and Alternative Healing Therapies. Rudraksha Ratna Science Therapy® (RRST®) Combinations: Developed by the renowned Rudraksha-Gemstone expert and alternative healer Neeta Singhal, the RRST® is a therapy based on the wearing instructions given in the ancient scriptures such as Shiva Purana. Wearing Rudraksha Beads in combination with the suitable gemstones (Ratna) generate maximum energy that begins to balance all of your Chakras. You get the best of both; Rudraksha and Gemstones. Best for curing Back Pain, Knee Pain, Body Aches, Headaches, Migraine, Sinus Congestion, Acidity, Diabetes and the like. 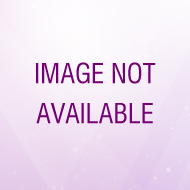 It gives Personal and Professional Growth, Holistic Health and Happier relationships. 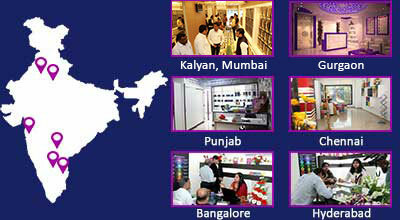 Powerful Vedic (Jyotish) Gemstones: Gemstones and planets are interrelated. It is interesting to know that the Vedic rishis and sages understood well the impact of planets on the mind and the body. Stronger planets send positive energies whereas weaker planets offer challenges and obstacles. We at Rudra Centre recommend the use of correct gemstones in order to enhance the power of benfic planets and minimize the effect of malefic planets. Yellow Sapphire/Pukhraj (Jupiter): It increases spiritual personal, communication skills, goal achievement, promotion and desirable abundance. 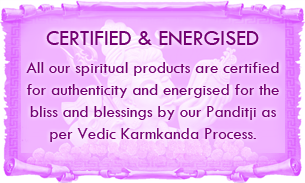 It heals Insomnia and Thyroid related issues as it empowers the Vishuddha chakra. Blue Sapphire/Neelam (Saturn): It enhances intuition, clears confusion, strengthens decision-making ability and helps you attain spiritual enlightenment. It heals a headache and sinus as it empowers the Ajna chakra. Coral/Moonga (Mars): It gives emotional and physical strengths as well as stability at personal and professional level. 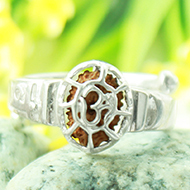 It heals piles and bone-related problems as it empowers the Muladhara chakra. Ruby/Manik (Sun): It gives power, wealth, and keeps your health intact. Pearl/Moti (Moon): It makes your mind calm, brings boldness against all odds, and creates harmony in relationships. It heals the sexual organs which are ruled by the Swathisthana chakra. Emerald/Panna (Mercury): It helps you fulfill your wishes, makes you compassionate and strengthens your spiritual side. It heals the heart and lower lungs which are ruled by the Anahata chakra. Cat's Eye/Lahsuniya (Ketu): It is best for abstract thinking, self-discipline, permanence, fortune, shield against negative forces and eventually enlightenment. It heals bone-related diseases as it works on the Muladhara chakra. Gomedh/Gomedak (Rahu): It attracts luck, power and divine benedictions. It heals brain related disorders as it governs the Sahasrara chakra. Diamond/Heera (Venus): Being one of the most precious gems, it endows the wearer with wealth, creativity, higher goals, successful marriage life, and compassion. It heals diabetes and blood pressure as it rules the Heart chakra. Yantras & Deity Idols: A Yantra represents the sound of Vedic mantras. It carries a spiritual significance and curbs the psychic forces by concentrating it on a specific pattern. All elementary geometrical figures like a straight line, a square, a cross or a triangle etc., symbolize a value corresponding to their basic notions. A Yantra too carries power or energy. 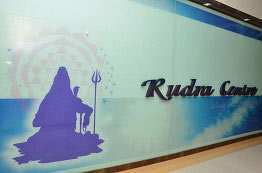 Yantras from Rudra Centre are perfectly etched with extensive research based on scriptural reference. A Yantra, when installed in proper direction, generates all the attributes of destroying negative vibes and naturally restores the environment to its natural harmonious state. 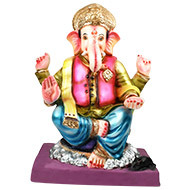 Similarly, the deity idols carry religious and philosophical significance. 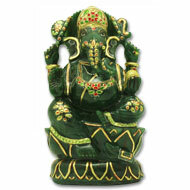 Idols from Rudra Centre are made of metals, marbles, and natural gemstones. Puja idols carved in these minerals are additionally potent since they combine the power of the deity along with the power of the planet and the mineral/metal used. Tatva Vastu Items: We bring you a line of exceptional Tatva Vastu items that are energized to bring into your place the positive cosmic energies. 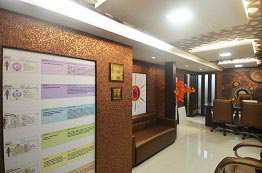 Tatva Vastu by Rudra Centre involves the correct use of energizers placed in the right direction in order to balance the Five Elements of the Universe namely Earth (physical existence), Water (emotions and creativity), Fire (mental power), Air (relationships) and Ether (higher self) in your home or at your workplace. 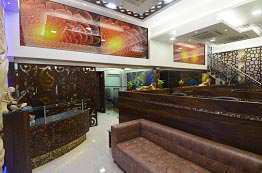 Tatva Vastu items such as Yantras, Pyramids, Gemstones Rocks, Vastu Trees, Vastu Idols, Chimes and the like are based on the Vastu principles. They are highly auspicious and contain the energies of deities, directions, and the cosmic elements. They bring stability, firmness and overall wellbeing. Puja and Meditation Items: In any Vedic ritual or puja, the most significant aspects are various puja items, ingredients or paraphernalia. 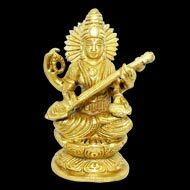 Our great range of various sacred items used in Pujas and Homas (Havans) makes Purjas or Havans complete. We offer each and every item used in the puja/havan such as Urli, Puja Thalis, and Puja Pedestals, supari, Bel fruit, ghee, Honey, Akshat (rice grains), Turmeric powder, Sindoor, Ganga Jal and Attar and more. Kurta and Shawls: We at Rudra Centre offer kurtas and shawls of different sizes and colors based on the Chakra principles. Seven chakras are of seven cosmic colors (Red, Orange, Yellow, Green, Blue, Indigo and Violet). Wearing a kurta of a particular color energizes the Chakra of that color. For instance, Muladhara Chakra is of Red cosmic color. Wearing a kurta of red color has a subtle impact on Muladhara Chakra. We offer kurtas with pajamas and shawls in different designs, sizes, and colors. 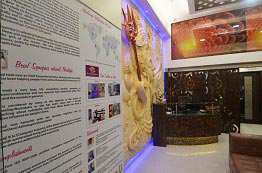 Do drop a visit and sight the world’s largest collection of spiritual items. I have received the items. 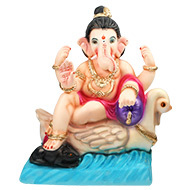 I want to say that I am so much delighted to see Lord ganesha idol. The yantras are perfect and other items of the order. 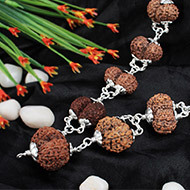 Collector 10 mukhi rudraksha in silver bracelet is absolutely devine and gorgeous. Neeta ji Thank you hand picking these items for me. You are very generous I will definitely will be make more purchases from you in future and if I Happened to be India I would personally visit your store and buy a lot of products from you. 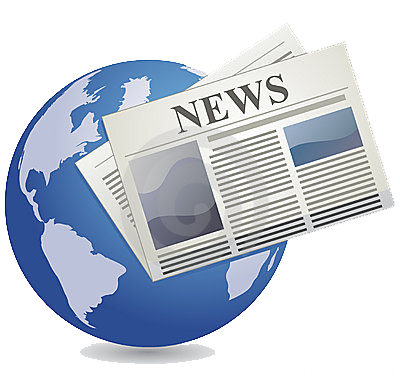 I feel completely satisfied with your professional and friendly service. Thanks once again.